Genmaicha 玄米茶 "brown rice tea", is a Japanese brown rice green tea consisting of green tea combined with roasted popped brown rice. 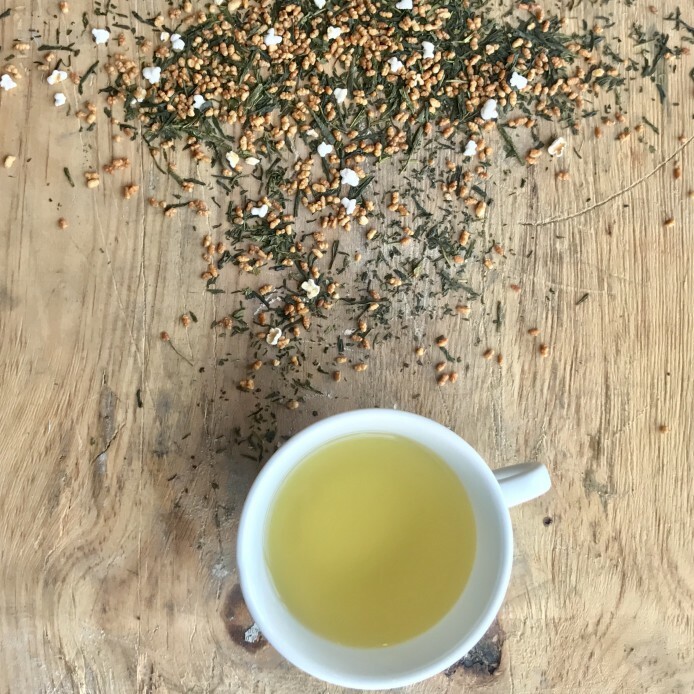 Genmaicha is a light tasting green tea - Rice is added to Bancha tea and under the heat of firing it pops - giving a delicious, savoury, buttery popcorn flavour! Pop-ular in Japan. 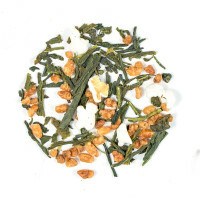 This Genmaicha is best with 2-3g of tea, 200ml of freshly drawn water, 80°C and allow to brew for 2-3 minutes.